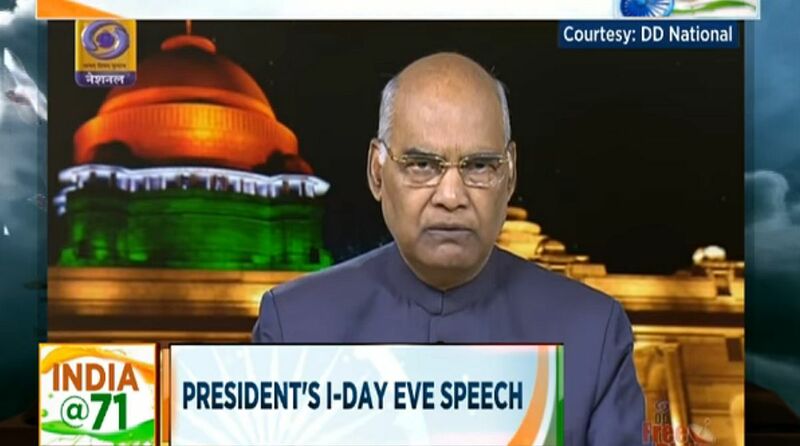 In his address to the nation on the eve of 72nd Independence Day, President Ram Nath Kovind underlined the ‘ahimsa’ theory propagated by Mahatama Gandhi. He said contentious issues and extraneous debates should not be allowed to distract us at a “pivotal moment”. “Perhaps Gandhiji’s most noble mantra was to point out that the power of ‘ahimsa’ is far greater than the power of ‘himsa’. 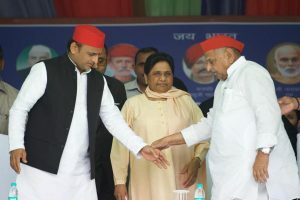 The power to stay your hand is far greater than the power to strike with your hand and ‘himsa’ has no place in the society,” he said. “Independence Day is always special, but this year there is an unusual significance. On October 2, we will begin the 150th birthday commemoration of Mahatma Gandhi. Gandhiji did not just lead our freedom struggle. He was and still is our moral compass,” he said. President Kovind said to Gandhiji, Indian civilisation was defined by open windows and not closed doors.